IGN has just released an all-new cinematic trailer for the Square Enix’s adventure platformer Just Cause 4. The game’s hero, Rico Rodriguez, is featured throughout as he rides jet skis, motorcycles, and even an actual tornado in the non-stop barrage of action-heavy moments. You can check out the trailer in the post below! Set in the fictional South American world of Solis, Just Cause 4 takes the series incredible destruction and unique physics to a whole new level as it introduces not only tornadoes but other extreme weather events, as well. Just Cause 4 has four distinct biomes: Rainforest, Grasslands, Alpine & Desert, and with each biome offering its own individual, fully simulated weather event, players will have a truly unique experience as they traverse this deep, diverse world. 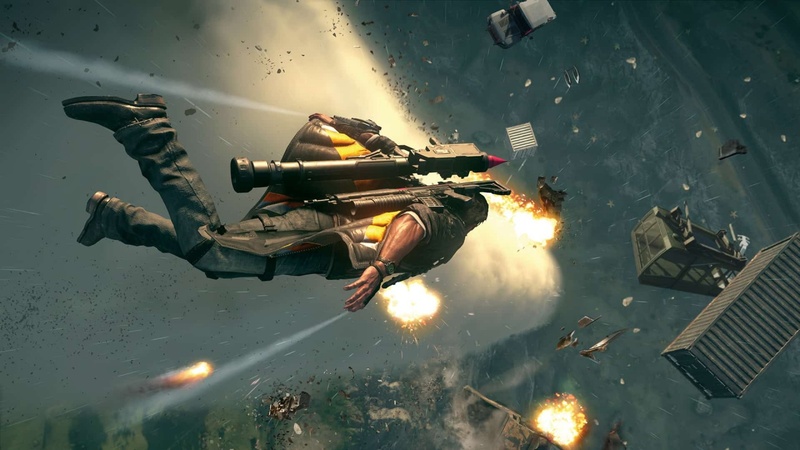 In order to help navigate these all-new obstacles, Rodriguez returns in Just Cause 4 with his trademark parachute, wingsuit and his grapple hook, now enhanced with new functionality and fully customizable. Making it the most powerful and creative tool the player has ever had. Just Cause 4 is the most ambitious Just Cause installment to date. Everything that made the game unique is back, alongside some brand new features, including extreme weather, enhanced physics along with some core gameplay improvements. Just Cause 4 will be available for purchase starting December 4. The post Watch the New Cinematic Trailer for Just Cause 4 appeared first on ComingSoon.net.